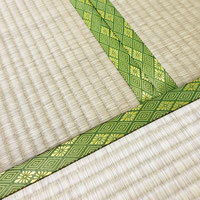 Tatami is the traditional Japanese floor matt, made of igusa (rush grass) and rice straw. 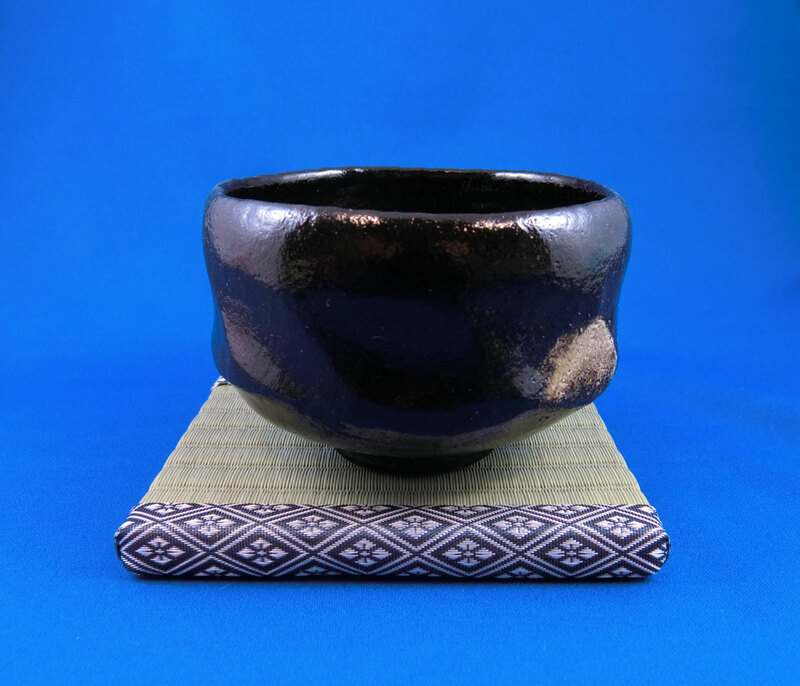 The latest addition to the Tatami pad series are mini-sized tatami mats perfect to display together with your favorite doll, vase, ikebana, tee utensils. Even though the mats are miniaturized down, bringing the unique texture of tatami mats into your world! The tatami mats are available in beige, green, and black variations, allowing you to choose the color that better suits your collection! 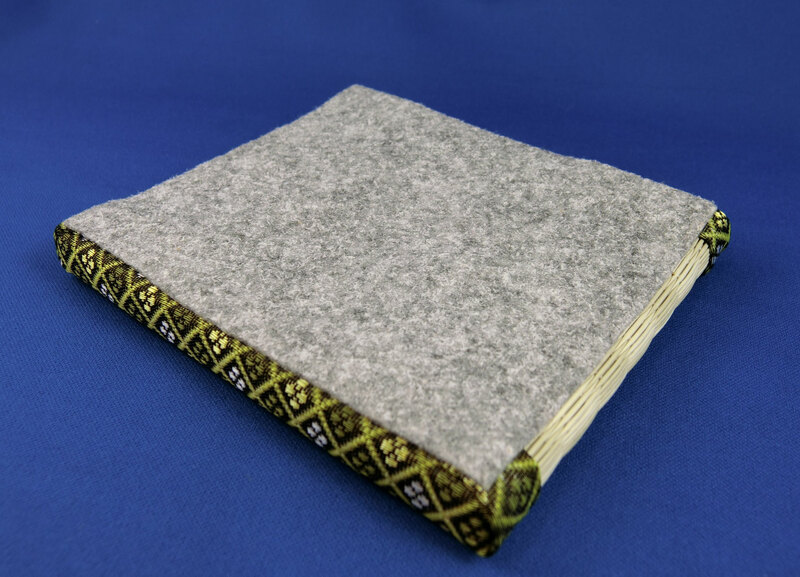 A mini size Tatami pad made of tatami fiber and framed with beautiful cloth for reinforcement. 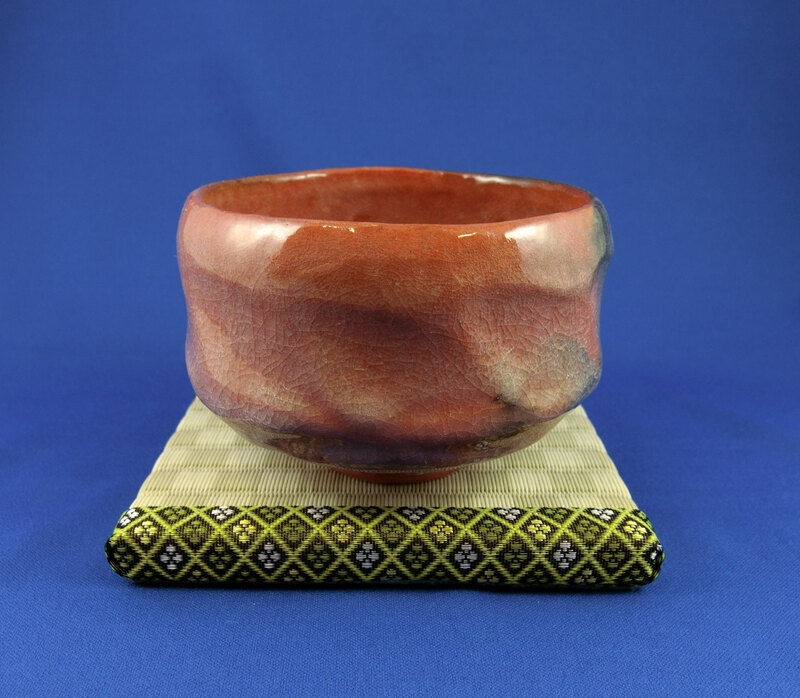 Ideal to a mat for Ikebana, Kokeshi, Bonsai, or other decorative objects. 3 colors available. Tatami made of igusa (rush grass) and rice straw is the traditional Japanese floor material, beautiful but weak if not used carefully. 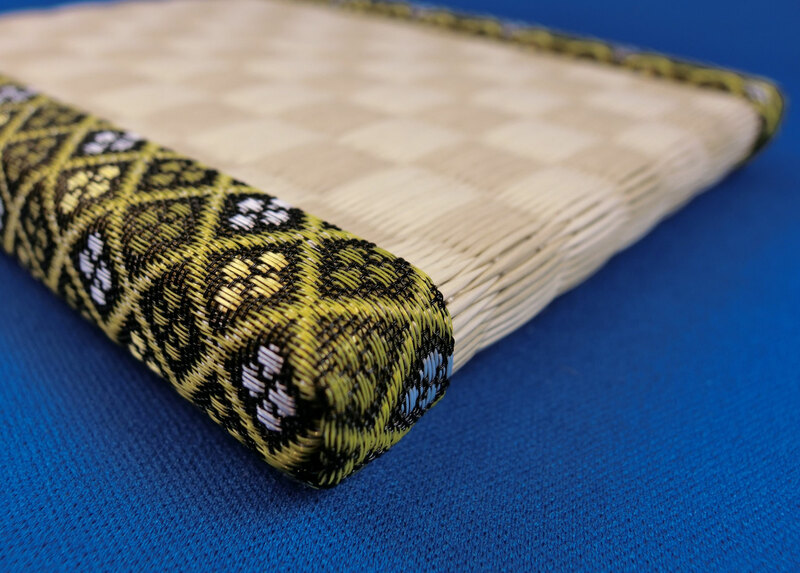 Nowadays, many of Tatami items are made of innovative material from a resin or washi paper. 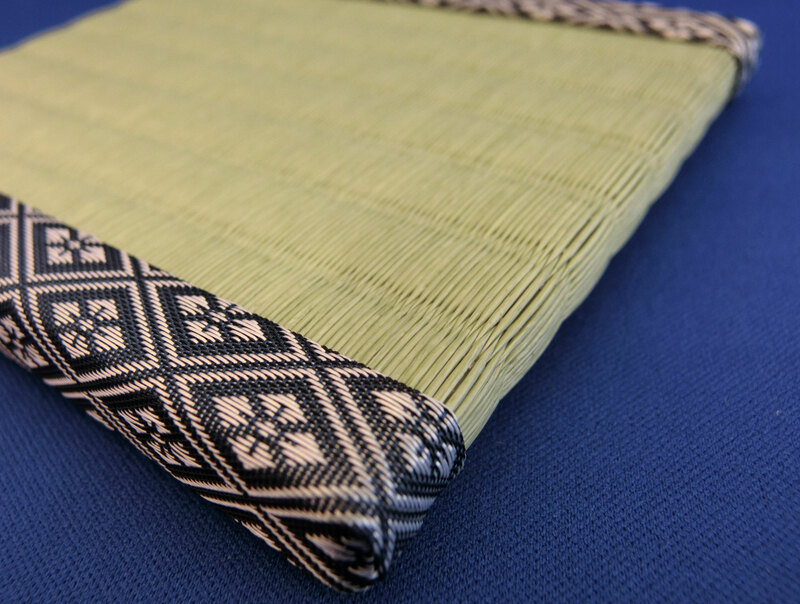 The Washi Tatami Sheets, made of Japanese paper, are much stronger, scratch-resistant, better in lightfastness, water-repellent and available in different colors and weaving patterns. Washi tatami sheets make it possible to bring the aesthetics of tatami into wall panels, upholstery, carpets and mats, while still using natural materials. Washi Tatami Sheet is made of Japanese paper and cotton. the deodorization and antibacterial effect of catechin gives spaces a fresh feel. in your home, office, exhibition, showcase, store display... etc. Hochwertige japanisches "TATAMI PAD "
Tee Geschirr, Bonsai, Blumentopf ... etc verwenden.